It was an interesting year in College Park, Maryland a year ago. The Terrapins entered the year with pretty modest expectations and with fourth-year head coach Mark Turgeon on the hot seat. Instead, the Terps put together a miraculous year, winning 28 games, finishing off second in their debut season in the Big Ten, and reached the third round of the NCAA Tournament. Now, it appears Maryland won't sneak up on people, as they are being picked by many to win the Big Ten, for good reason. 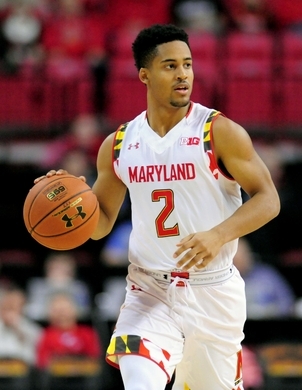 Star guard Melo Trimble returns after a huge first season with the Terrapins. Trimble averaged 16.2 points per game and also led Maryland in assists a year ago, earning All-Big Ten honors. He will be joined by another proven veteran, forward Jake Layman, who passed on the NBA for his senior season with Maryland. Layman is an intriguing player; his shooting ability helps Maryland space the floor, but he has also proven adept at banging down low. It will significantly help the Terrapins' frontcourt that they have two huge names coming in. The first of them has to be center Diamond Stone, a consensus five-star recruit. At 6'10", 250 pounds, Stone is fantastic at clearing out space in the paint. He still is raw and will need adjustment to the flow of the collegiate game, but he could actually dominate. Also coming in is fellow big man Robert Carter, a transfer from Georgia Tech, who also possesses great size and bulk. Though, even with those two, perhaps the biggest addition of the offseason for Maryland was guard Rasheed Sulaimon. Sulaimon had a successful start to his career at Duke, but his minutes soon trailed off and off-the-court problems contributed to his dismissal. Sulaimon is a proven shooter and scorer but it will be interesting to see what role he plays. 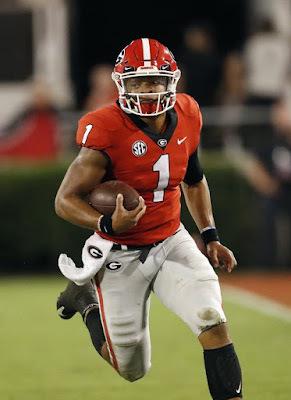 Will he be a help for a team that has realistic National Championship expectations or will he merely be a distraction that could derail this team? Even with such a big wild card, this Maryland team is sure to have some big moments this year. They have the star power and depth of a true Final Four squad, and with the Big Ten hit hard with graduation, they are the clear favorite in the conference. 2. Indiana Hoosiers- 20-14 in 2014-2015 Returning Starters: 4 X-Factor: G James Blackmon Jr.
Just a few months ago, Indiana's future was shrouded in mystery. The Hoosiers were coming off a disappointing year without an NCAA Tournament, and had already had a disappointing end to the 2012-2013 campaign, losing in the Sweet 16. Head coach Tom Crean, deemed the "savior" of the program was losing popularity fast, and many questioned the 2014-2015 squad as being much of an improvement. Instead, the youthful Hoosiers were a revelation, winning 20 games and despite a cold stretch to end the year, they made the NCAA Tournament. Now, that extremely young team is a year older, and primed to put together a big season. Senior point guard Yogi Ferrell should lead the offense after putting together a strong 2014. Ferrell isn't the biggest guard on the court but he is a tough, hard-nosed competitor. He will be joined in the backcourt by sophomore James Blackmon Jr., who is fresh off an offseason knee injury. It will be interesting to see if that hinders his explosiveness at all, but Blackmon should still be a go-to scorer after putting up 15.7 points per game a year ago. Up front, the rising Troy Williams returns for his junior season, and should join the Hoosiers' big recruit, center Thomas Bryant. Williams isn't the most polished player but he took significant steps last season, while Bryant has all the tools to be an absolutely dominant big man. Senior Max Bielfeldt arrives from Michigan as a steady veteran reserve. Overall, the talent on Indiana is overwhelming, and the team has some veterans to lean on. If all goes according to plan, they very well could be playing all the way to the Final Four. Even without a roster filled with superstars, the Spartans rode a veteran-laden unit and their abundance of depth to a surprise Final Four trip a year ago. While guard Travis Trice and forward Branden Dawson both graduated, Tom Izzo still has a legitimate contender in East Lansing, as usual. Senior guard Denzel Valentine remains an intriguing player. He isn't necessarily dominant, but the 6'5" wing has proven he can be a big time scorer, and a shutdown defender. Valentine and West Virginia transfer Eron Harris could very well turn out to be Michigan State's top options offensively this season. Sophomore guard Lourawls "Tum Tum" Nairn Jr. has one of the most interesting names in college basketball, but also has some serious game. He should be poised to take over the reigns of the offense from Trice, after showing considerable flashes last season. Up front, Izzo will lean heavily on returning starter Gavin Schilling. Schilling is a hard-worker and plus rebounder but foul trouble and his inconsistency around the rim have restricted him greatly. If he can take big steps and anchor the frontcourt with senior Matt Costello, it could go a very long way for the Spartans. While this Michigan State squad should have some growing pains and it isn't particularly deep, Izzo always gets the most from his team. He has a legit All-American candidate in Valentine and plenty of potential in the backcourt, meaning this Spartans team should still contend for a Big Ten title. A year ago, Purdue began their 2014-2015 basketball campaign with serious uncertainty. The program had been floundering as of late, coach Matt Painter appeared on a pretty hot seat, and the prospects for the season looked bleak. But, the Boilermakers surprised everyone on their way to 21 wins that included an NCAA Tournament bid. 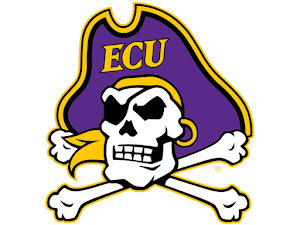 Though, even bigger for the program was the offseason they had this year. Purdue managed to bring back center A.J. Hammons for his senior season (he appeared destined, finally, for his jump to the NBA) along with nearly every other bigtime contributor, while also reeling in five-star recruit Caleb Swanigan. Swanigan, a mobile forward with big time potential, became the first Indiana Mr. Basketball to choose the Boilermakers since Glenn Robinson years ago. He should pair with Hammons, massive sophomore center Isaac Haas, and versatile forward Vince Edwards to give Purdue the best frontcourt in the Big Ten. Fifth-year transfer Jon Octeus is the only player Purude lost, but he was a great contributor. Even so, senior guard Rapheal Davis and junior Kendall Stephens gives Purdue a fighting chance in the backcourt. With their crazy amount of size and surprising depth, Purdue has all the tools to be a serious contender in the Big Ten this season. If all go according to plan, a Sweet 16 bid and higher honors are not out of the question. Long known as the nation's most stable program, Wisconsin was plunged into questions this summer. Not only was National Player of the Year Frank Kaminsky graduating, guards Traevon Jackson and Josh Gasser, and steady reserve Duje Dukan had also exhausted their eligibility. Then, Sam Dekker announced he was foregoing his final year of school for the NBA, and the Badgers' long time head coach Bo Ryan announced that this year would likely be his last in Madison. Even through all that, Wisconsin is expected to compete and be pretty dang good, a year removed from a near National Title. Junior forward Nigel Hayes is primed for a huge season, after two seasons as a great complement to Dekker and Kaminsky. The junior improved his long range game considerably a year ago and has added bulk. Still, there are questions whether he can really be the top option on this Badgers' team. Hayes will be joined by fellow junior Bronson Koenig, who had a breakthrough NCAA Tournament. Pushed into Traevon Jackson's spot as point guard and leader of the team, Koenig was impressive. Koenig isn't a superb shooter but he can hit shots from the perimeter when needed. His main source of offense is on the drive, as he excels through contact. Junior guard Zak Showalter is in store for a bigger role after being a reserve throughout last season, though he had his moments. In the frontcourt, physical junior Vitto Brown should look to be getting the bulk of minutes with Hayes. The attrition the Badgers had this offseason was brutal. Even so, this is the program that can survive mass graduation. They won't be making a National Championship appearance this year but a Sweet 16 berth isn't out of the question. Last season just wasn't much fun in Ann Arbor during basketball season. Injuries, inexperience and more contributed to a 16-16 mark that saw Michigan finish ninth in the Big Ten, miss the postseason and loss to such schools as NJIT and Eastern Michigan. But, this season should be filled with hope, as four starters return, plus a number of bench contributors. Guard Caris LaVert is in store for a huge year; he missed most of last season with injury but proved he could be the Wolverines' top option when needed. Versatile Zak Irvin also showed plenty of scoring punch throughout last season, mainly because he was one of the few healthy and experienced players left. Irvin averaged 14.3 points per game, using his wide and athletic frame to his advantage. Also back is the backcourt set of Derrick Walton and Spike Albrecht. Now a senior, Albrecht is years removed from his stunning NCAA Championship performance against Louisville. But, the veteran is still a great ball handler with great toughness and grit. Walton is more flashy but injuries limited him last season. When healthy, he is a legit All-Big Ten performer. The questions for Michigan will be in the frontcourt, where they lacked consistent performers. Sophomore Ricky Doyle was solid as a freshman, but more will have to emerge around the powerful forward. John Belein was just rewarded with a handsome new extension. Now, he will have the team that can help him earn it. As fun as he was to watch and as much as he meant to Ohio State, D'Angelo Russell is gone. His 19.3 points per game will have to be replaced for an Ohio State team that also loses three other starters from an inconsistent and uneven team a year ago. The good news is there is an abundance of talent and potential on Thad Matta's team. Wing Jae'Sean Tate was the lesser known freshman a year ago but still performed well and could be in store for a leading role this season. Forward Marc Loving isn't exactly flashy but he brings solid athleticism and rebounding to the table. Though, Loving slumped late last season, and he will be eager to turn things around. Sophomore Keita Bates-Diop could be ready for a huge year, after averaging just under four points per game as a freshman. Bates-Diop is a great athlete with exceptional leaping ability and a high ceiling. Even so, he looked lost on the court at times last year for the Buckeyes, and he may have some growing pains adjusting to a new role. Expect Matta to lean heavily on the services of two newcomers: true freshman JaQuan Lyle and Virginia Tech transfer Trevor Thompson. The 6'11" Thompson is a hard-working center with potential, but Lyle has Buckeye fans even more excited. Matta even went as far to compare Lyle to the now infamous Russell. Even with those additions, there is no getting past the fact this team is extremely young. If Loving, Bates-Diop and Tate can take over for Russell, while Lyle adds some serious punch, OSU could still contend for a Big Ten title. If not, a short NCAA Tournament experience could be in store. There shouldn't be any denying just how far Iowa has come under Fran McCaffery. The Hawkeyes have made two straight NCAA Tournaments (and won a game this year) and return four starters to the equation. The most well known of the returners has to be senior forward Jared Uthoff who takes over for the departed Aaron White as the Hawkeyes' top offensive option. Injuries limited Uthoff's career early on, but he has been dynamite when healthy. Joining him up front will be aggressive center Adam Woodbury, also back for his senior season. Woodbury isn't flashy or insanely productive but he does a lot of little things well, and it helps having an imposing seven-footer on the block. Point guard Mike Gessell heads the backcourt. The senior seems like he has been in Iowa City for 10 years, but is still growing as a leader. Aside him is junior Peter Jok, who will play a pivotal role in Iowa's success this season. Jok showed plenty of promise a year ago, but is still growing as two-way player. If he can become more accurate of a shooter and more tough on the defensive end, he could be in store for a huge year. Junior college transfer Dale Jones is a big-bodied forward who could end up playing a major role early on. With four starters returning and plenty of upside, Iowa should definitely make it three straight trips to the Tourney. If they can get some more scoring punch from their backcourt, they could become a very sneaky dark horse in the conference. It is no secret Northwestern basketball isn't exactly a juggernaut. The Wildcats have never made an NCAA Tournament and have long been a cellar dweller in the Big Ten. But, Chris Collins is making significant traction in his third year in Evanston. The son of legendary Doug Collins, Chris led the Wildcats to a solid 15-17 mark and six conference wins. While that may not be overwhelming, the Wildcats could have won much more, and they showed a ton of promise. Guards Tre Demps and Bryant McIntosh are legit. Demps is a pure scorer with plenty of moves, while McIntosh is a fearless, playmaking point guard. McIntosh, just a sophomore, could become even better if he can cut down on turnovers and dumb mistakes, but that was expected as a freshman. Up front, senior center Alex Olah is a physical beast on the block that should continue to grow. He will be joined by steady three-point sniper Vic Law and backup center Joey van Zegeron. Overall, this Northwestern team returns some significant talent. A jump to the Tournament may be premature, but a NIT berth isn't out of the realm of possibility, and this team could definitely surprise some people. There is almost a sense of urgency surrounding Illinois basketball these days. The Illini have missed consecutive Tournaments for the first time in over two decades, and they look like a bubble team entering this year. They received more tough news this offseason when explosive guard Tracy Abrams was ruled out for the entire year, after rupturing his Achilles tendon. Abrams had already missed all of 2014-2015 with a torn ACL. That will put even more pressure on some young backcourt pieces, particularly guard Kendrick Nunn. Nunn is a fun player to watch but turnovers have been a problem. Even so, the junior is a quick and deceptive playmaker. Joining him will be guard Malcolm Hill, a proven shooter with plenty of experience. Hill and former walk-on Mike LaTulip should give head coach John Groce plenty of options to work with on the perimeter. Junior guard Jaylon Tate should also see an increased role after an uneven year last season. The big question for the Illini is their frontcourt, where there are no proven commodities aside from center Maverick Morgan. Forward Darius Paul, the brother of former Illinois standout Brandon, was expected to make a major impact after arriving from Western Michigan. Instead, he was arrested on a team trip to France and later dismissed in late August. That leaves the Illini with serious problems going forward. Even so, the talent is intact for Illinois to get back to March. If they don't, Groce could very well be on quite a hot seat in Champaign. After a successful first year in Minneapolis which saw the Gophers win the NIT Tournament, Richard Pitino didn't have a great encore. The Gophers limped to an 18-15 mark, and looked much worse than the possible bubble NCAA Tournament team some expected. Now, proven leaders like Andre Hollins and DeAndre Mathieu are gone, leaving the Gophers searching for new playmakers. Senior Carlos Morris is an electrifying player, but he takes dumb shots and forces plays. Meanwhile, the other lone returning starter is Minnesota native Joey King. King can stretch the floor but is kind of a tweener and has struggled late in games since his transfer to Minnesota. The good news is that Nate Mason, a sophomore, has plenty of experience and hopefully will take over the reigns of the offense just fine. Plus, junior forward Charles Buggs is also back after showing significant signs of improvement over the course of the past few years. Though, Minnesota still has serious problems in the frontcourt. Illinois State transfer Reggie Lynch and Texas A&M transfer Davonte Fitzgerald have bright futures, but will have to sit out the year. To make matters worse, sophomore Bankary Konate, a youthful big man, will miss the first couple weeks of the year due to injury. Unless someone can step up on the frontline, this Minnesota team has no shot of an NCAA Tournament bid. Although his teams have struggled mightily at times since his arrival at Penn State, Patrick Chambers' team showed some real growth late last season. Still, PSU won just 18 games and finished off 13th in the conference, but the team has more confidence heading into the 2015-2016 campaign. Unfortunately, the Nittany Lions will be without star guard D.J. Newbill this year, as his 20.7 points per game graduated. Though, sophomore Shep Garner could be the next in a long line of stud PSU guards that includes Talor Battle and Tim Frazier. Garner started every game at point guard as a true freshman and showed significant progress. He isn't the pure scorer Newbill was, but he has plenty of upside. The other returning starter on Penn State's roster is shot-blocking center Jordan Dickerson, who averaged 1.5 blocks per game a year ago. Expect senior forward Donovan Jack to play an intricate role alongside Dickerson. Jack is a high energy player with a higher offensive ceiling than Dickerson. Penn State doesn't have any proven helpers to Garner in the backcourt, which could be a problem. UConn transfer Terrence Samuel has some serious talent but he won't be eligible until next year. Chambers may be slowly building something at Penn State, but this roster is too young and not proven enough to consistently win this season. What a rollercoaster it has been lately for Nebraska basketball. A long time bottom dweller in the Big 12 and Big Ten, Nebraska broke out in 2013-2014, making an NCAA Tournament and having some big wins to do so. They entered last year with high expectations, considering nearly every major contributor returned. But, something went wrong. The Huskers' offense was stagnant, they turned the ball over way too much, and there wasn't much fight on the team. Things got so bad, coach Tim Miles banned the team from the locker room immediately following a near 30-point drubbing at the hands of Iowa. This year's roster looks much different, which may not be a bad thing. Guard Terran Petteway and forward Walter Pitchford both ditched to the NBA, leaving guard Shavon Shields as the main recognizable star. Shields is a versatile wing who thrives when fighting through contact, though he can go through heavy slumps as shooter. Also back is senior guard Benny Parker, a capable defender and playmaker. Though, Parker may lose his starting spot to Kansas transfer Andrew White III who arrives in Lincoln with lofty expectations. White never really saw much chances at Kansas, but he has the quickness, ball-handling and smarts to be a very good player. Though, beyond that Miles' roster is unbelievably young and unproven. While this team may fight harder than last year's team, improvements in the win category won't happen. Eddie Jordan knew when he took over at his alma mater, things would not be easy. Rutgers had been crippled by the Mike Rice scandal, and it had never been a program with much tradition. But, even as he enters Year 3, Jordan still has plenty of work to do, after a rough offseason in which he lost three big contributors (Myles Mack, Kadeem Jack, Junior Etou). The good news is senior Bishop Daniels is back for what will be his last year of an interesting ride through college basketball. Daniels is a flashy passer and decent scorer but he turned the ball over at an insane rate last season. If he doesn't improve there, this Rutgers offense will struggle. Senior center Greg Lewis is a solid contributor with great rebounding potential. He could form an interesting frontcourt combo with Netherlands native Shaquille Doorson. Doorson played sparingly as a sophomore and is incredibly raw, but has serious potential. Sophomore guard Mike Williams will be in store for a bigger role, but the shooter slumped heavily at times a year ago. Beyond that, the roster is unproven. Kansas State transfer Nigel Johnson could offer some relief, but isn't eligible until next year. With three starters gone from a ten-win team a year ago, Rutgers could struggle to even reach double-digit wins this season.